Hydraulic Oil Purification Using Filtration Method - GlobeCore. Oil Purification Systems. in filter presses that are filtering oil supplied to a pump. The structure of a hydraulic filter includes a filter element and a contamination indicator. As a rule, the movement of oil through the device occurs from the outside inwards. The correct choice of cell size depends on the requirements put forward by critical nodes, and is usually performed empirically. 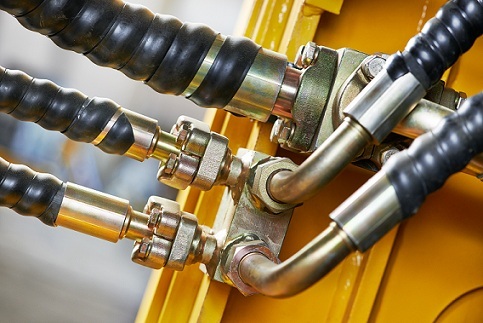 Most often hydraulic systems utilize filters with cell size from 3 to 40 microns. If a device with a cell size of 1, 3 or 6 microns has been selected, attention should be paid to its filter cloth. The matter is that viscous additives and contaminants can simply block the filter. GlobeCore company offers СММ plants to solve the problems of hydraulic oil filtration both from primary and secondary contamination. The equipment is versatile because it can effectively filter not only hydraulic oil, but also transformer, turbine, transmission, and other types of oil. The plants are available in a mobile version which is very compact. This makes them very convenient to use: rapid transportation from one hydraulic oil consumer to another one and the ability to work even in hard to reach areas of the production plant is a huge advantage. Depending on the required degree of oil filtering, this equipment is available with different filtering capacity of up to 5 microns. The application of GlobeCore oil filtration processes can significantly extend the service life of hydraulic oil, reduce warranty service costs and improve the reliability of the equipment in which this oil is exploited.